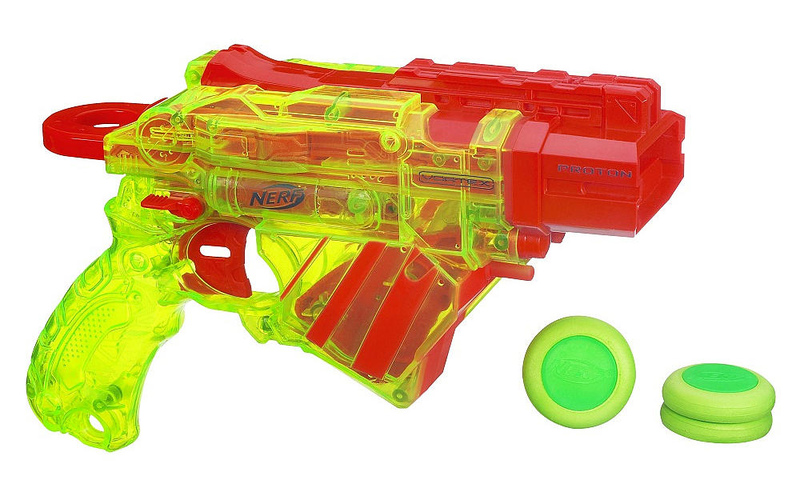 New blasters for all of Nerf's lines were announced early this year- A new 'Hailfire' to helm the N-Strike Elite, the all mighty Pyragon was the new Vortex blaster, and the Dart Tag line received the Snapfire 8 to its ranks. 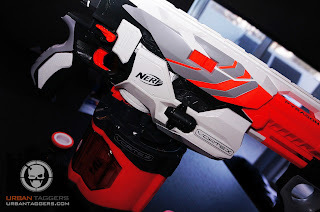 We've been bombed with a huge amount of emails asking us why we haven't done one of our mad photo shoot treatment of the awesome Nerf Vortex Pyragon. Well.. we have now:) Photos after the jump, and while we believe the photos are safe for work, there seems to be some readers out there who'd prefer to not see our model talent (who btw aren't actually models and just friends of mine who love toy blasters too) , sooo.. you don't have to look! 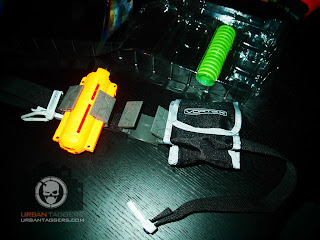 As many of you will know, the new Vortex Pyragon recently got me all excited again for the Vortex line, so this new Vortex Ammo Belt Kit was a natural purchase for us. Sort of the counterpart to the Bandolier Kit for N-Strike, this set features two Vortex ammo clip holders and a pouch to keep your XLR discs, all in a nice neat Batman style belt. 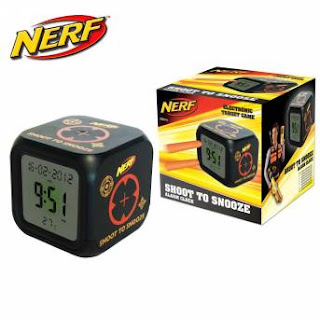 It's pretty cool, but it isn't exactly ready to go out of the box. Our thoughts after the jump. 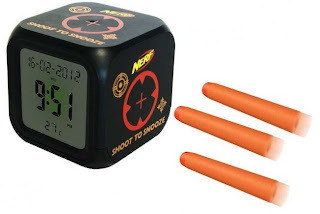 Those crazy kids at the Maya Group who were responsible for the Xploderz line of wet ball shooters have upped the ante and come up with an all new line called 'Blaster Pro'. 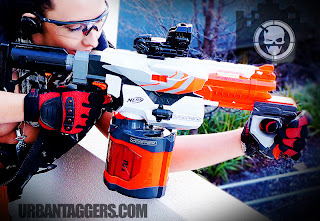 Using a similar ammo system,what differs now is although still spring loaded, rather than the "pull-back-and-release" mechanism, we've got some pretty serious looking kit with.. triggers. 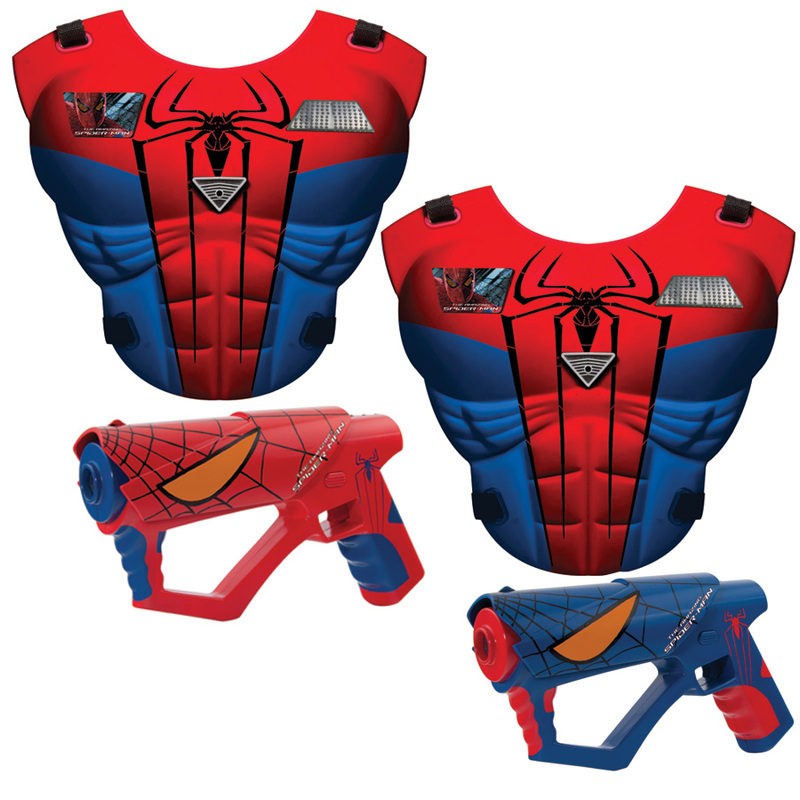 Check out some of the vids after the jump- the Blaster Pro line will apparently be available at Toys R Us' and Walmarts around the US as well as on Amazon.com. 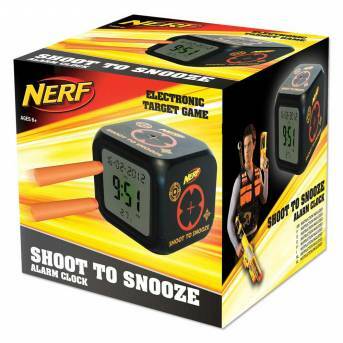 I'll be keen to see if they make it to Australia, but I'm admittedly a lot more interested in these than the original Xploderz range. Thanks Collin for the tip! All hail the Hailfire; the all new 9-9 blaster from Nerf that has been in the rumour mill for a while now, being the flagship model for their new N-Strike Elite range. 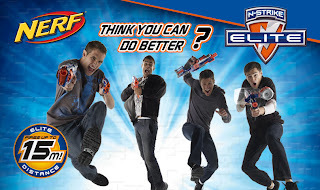 It is an all new original design that boasts the ability to hold the highest capacity of rounds of any Nerf blaster to date, semi auto fire (via 4AA battery run flywheel mechanism) and of course touts the new Elite performances of up to 75 feet! 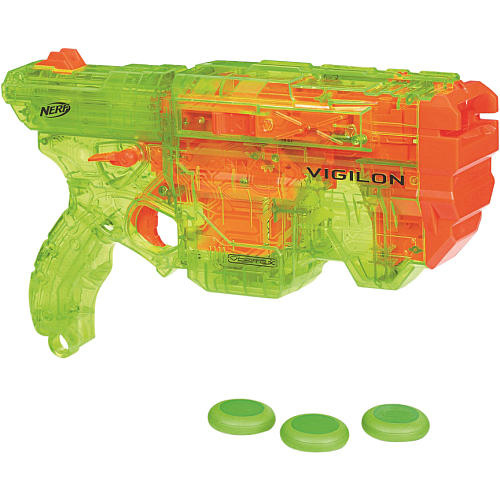 And yeah baby, we got one, and we were excited- remember the first time you first fired rounds from the Vulcan or the Stampede and you burst out laughing at the sheer power and fun you got from it? The all new N-Strike Elite Hailfire.. err not so much. Full review after the jump. 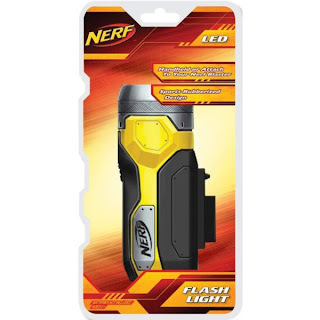 Nerf LED Flashlight: Sans tactical rail?? 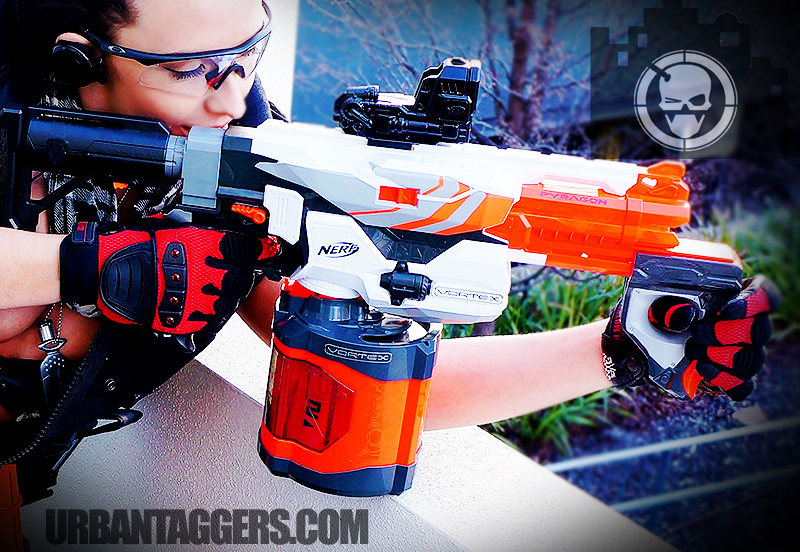 This looks pretty damn cool at first glance- a LED torch that attaches to your Nerf blaster via tactical rails? Genius! 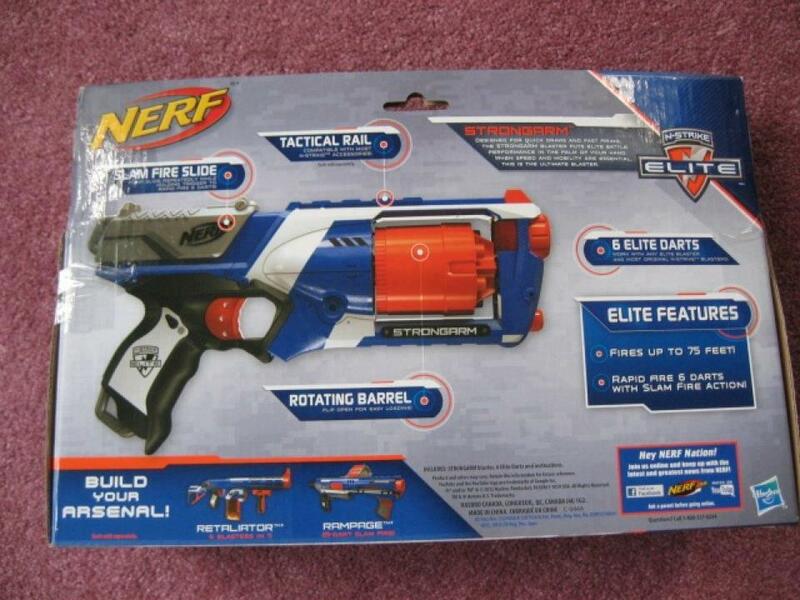 Only, it does appear to be misleading- reports of the real product is actually missing the tactical rail. Which means really.. just a Nerf branded torch. I guess you could always glue a tactical rail clip on it.. but then.. you could do that to any torch. Thanks Quang for the heads up. Whoah, where did this come from?! Someone once said it would be cool for the classic Maverick REV-6 to get the N-Strike Elite treatment, and this would appear to be the next best thing:) Looks like a revolver, fires 6 darts and the tactical rail looks like it's been moved forward on the gun rather than on the rear like the Mav. Barrel looks smoother too. This is the first I've heard of it, but the photo looks legit. N-Strike Elite Strong Arm. Here it is folks! 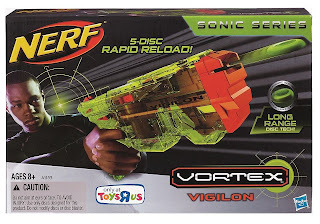 Back of the box states it has Slam Fire- whoah! 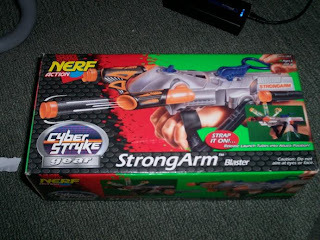 "I am a 67 year old lady who goes to yard sales and had no idea what this was. This is crazy. 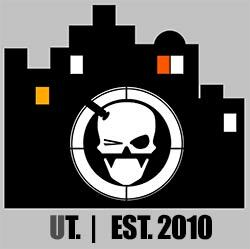 I like to buy items to put on e-bay and craigslist, find Christmas presents and new toys to donate to children at Christmas." My guess is since we posted this she must be getting some serious email traffic from keen lil' Nerfers asking her about the blaster and how she got it. I'd also suggest she's a tad nervous about legal implications (re Hasbro goons) and doing her utmost to throw everyone off the scent. It's probably not the most believable story 'she' could have come up with, but hey, I don't blame her for trying- given her location is very close to Hasbro's head office in Rhode Island.. Thanks Tim for the original lead. 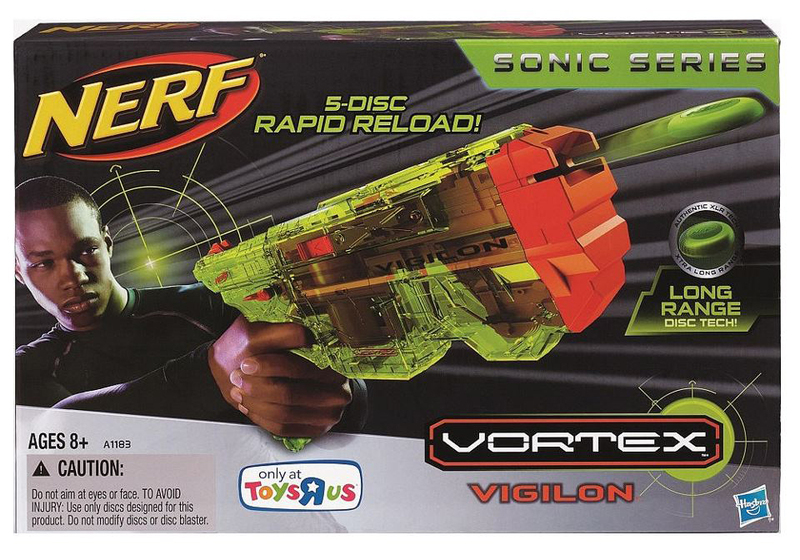 Of all the kit that has been on offer this year from Nerf, the one that I've really been keen on is the upcoming new Vortex Pyragon. It was allegedly an updated Praxis, which was my favourite of the original Vortex line but boasting an all new 40 round drum, slam fire and of course the thing that got me hyped from the start; finally an AWESOME stock out of the box colour scheme that would be the envy of Stormtroopers everywhere. A genuine action game for 2 players with two laser guns and two adjustable chest-armour plates. Show your skill and try to beat your opponent! Get ready! Aim and…fire! 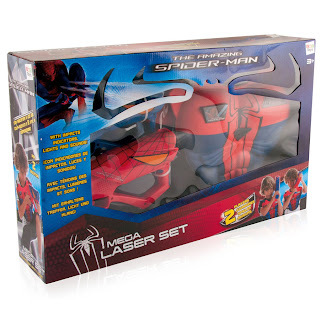 Try to shoot your rival with your spiderman laser gun.The gun shoots an invisible infra-red ray, and registers up to 6 impacts with sound and light effects. Long range infrared. 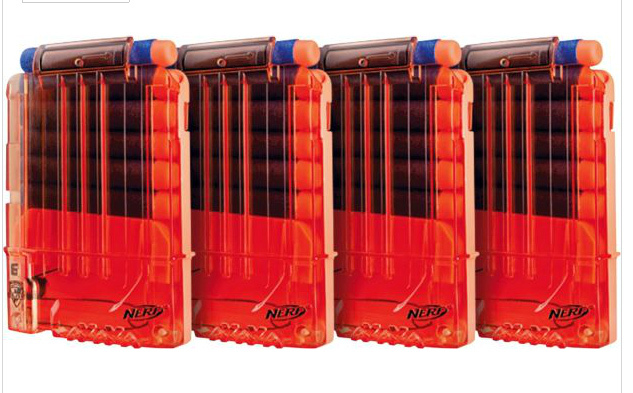 Includes 6 dart clips and 24 darts. 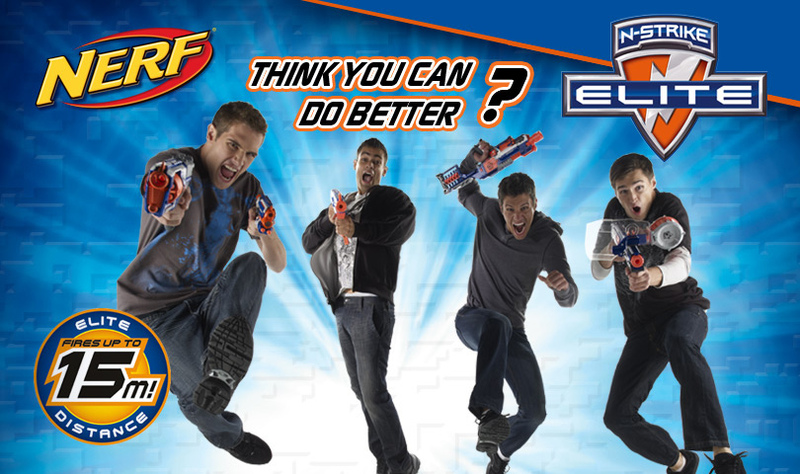 Join the N-Strike Elite and get the edge in battle with the Hail-Fire Upgrade Kit! 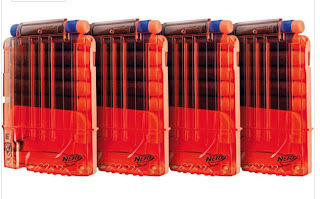 Already the ultimate in N-Strike performance, the Hail-Fire Blaster (sold separately) has the highest capacity of any Nerf blaster and it can unleash a storm of darts at the nearest target. 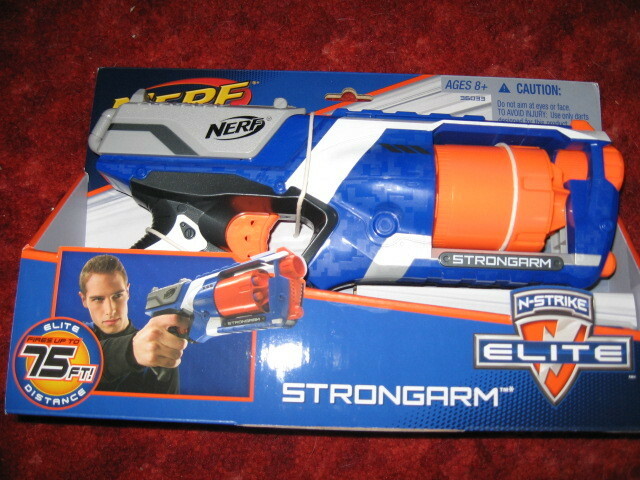 N-Strike Elite Hailfire Mission Kit via Argos.